Petra Kvitova stunned by Jelena Jankovic, Madison Keys advances and more Day 6 results from Wimbledon. 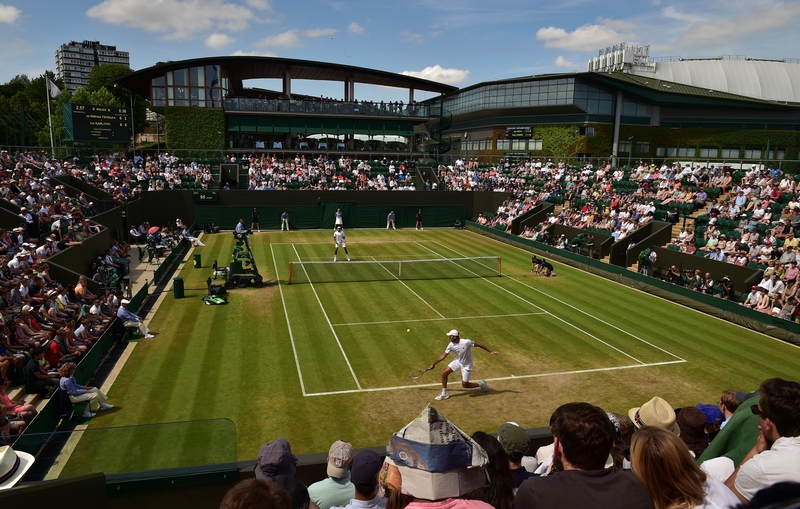 LONDON – Catch up on the news and results from Wimbledon Day 6 at the All England Club. Defending champion Petra Kvitova tumbles out: No. 28 Jelena Jankovic stunned Kvitova on Saturday, rallying from a break down in the second set to win 3–6, 7–5, 6–4. With the win, Jankovic advances to the fourth round at Wimbledon for the first time since 2010, while handing Kvitova her earliest loss at her best tournament since 2009. The loss means Kvitova will cede her No. 2 ranking after Wimbledon to either Maria Sharapova or Caroline Wozniacki. "I don't think I lost today because I was defending champion from last year," Kvitova said, when asked whether the pressure of her title defense impacted her play. "I don't think this is really the thing why. I think that she really played a good match. Looked a little bit [like] when I played Venus [Williams] last year when I was the worst player in the first two sets, then I won. This time [it's reversed]." ​Kvitova looked en fuego through her first two matches, losing just three games. It looked to be more of the same on Saturday, as Kvitova looked in control with a set and a break lead. But Jankovic, the experienced veteran that she is, hung with Kvitova and broke her back at 4-4 in the second and took the second set. Kvitova played rattled for the remainder of the match. The key point came with Jankovic serving at 4-4 in the third. Kvitova earned a look at Jankovic's serve at 15-30 and was in firm control of the next point but stopped play to call a ball out. It was in. Had she played on she would have likely earned two break points. Instead, Jankovic held to 5-4 and then broke Kvitova to close the match. "If I know what happened, I [would] tell you," Kvitova said. "But really, I'm not really sure what happened out there. I was kind of up in the second set. Suddenly I felt she's coming back, playing a little bit more aggressive. Suddenly from my side I didn't have an answer for it. My serve didn't help me at all this time. 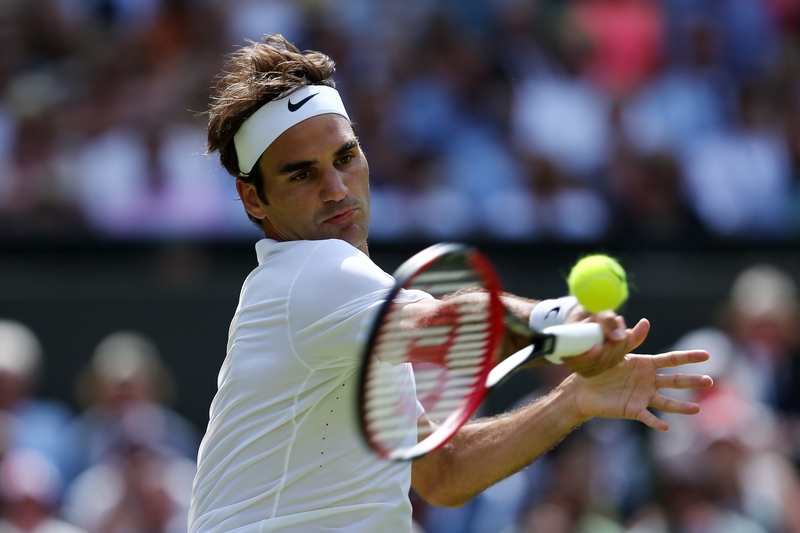 I was really struggling with each shot which I played." "I'm overwhelmed, I'm so excited," Jankovic said after the match. 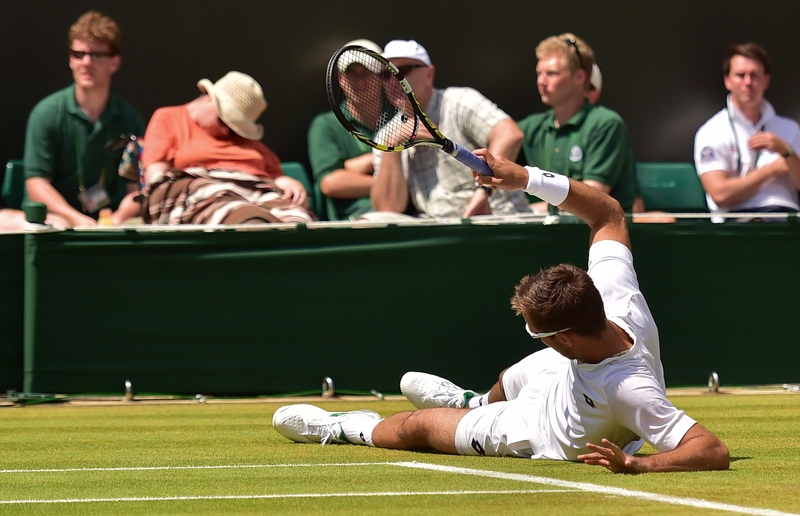 "Playing on grass is very difficult for me. It does not come naturally. The last few years I've played so poorly. 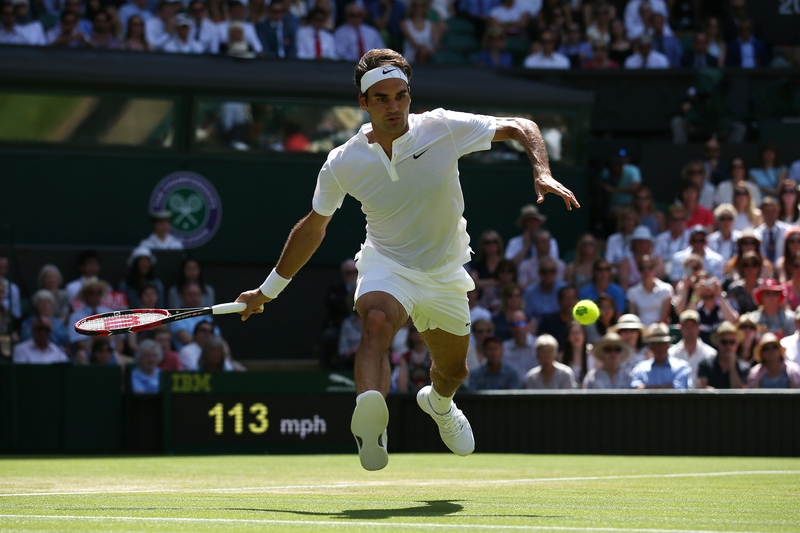 Being out there on Centre Court against the defending champion was so amazing." For Kvitova, this one is going to hurt for a while. "It's not easy to go away," Kvitova said, referring to the sting of the result. "I think it's going to take me a few days, few weeks maybe. But that's how it is. 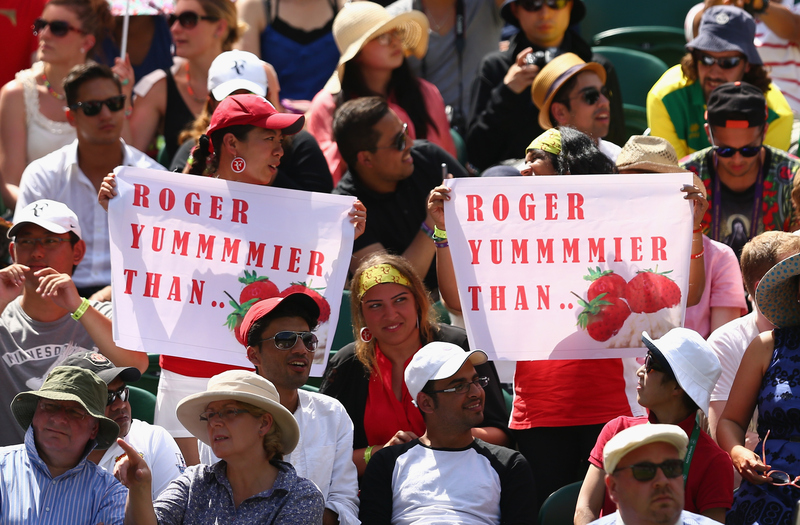 It's tennis. I'm still human. I'm not a robot. But I was wishing for a better result for sure." The rule states that a ball can be double-hit if it was done in one continuous motion. By my eye, that's a bang-bang play that would be tough for an umpire to make, especially given Karlovic's body is blocking his view. 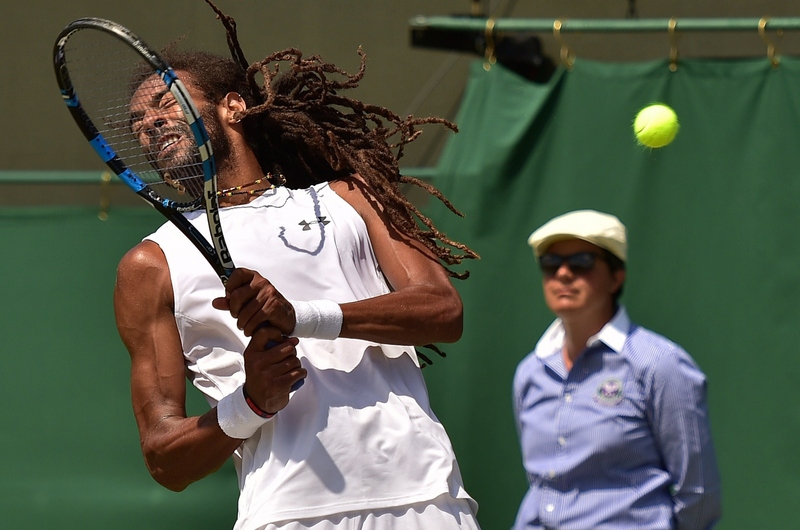 "It's the job of the umpire to see it," Tsonga said. "If he can't see it, I can't do anything." 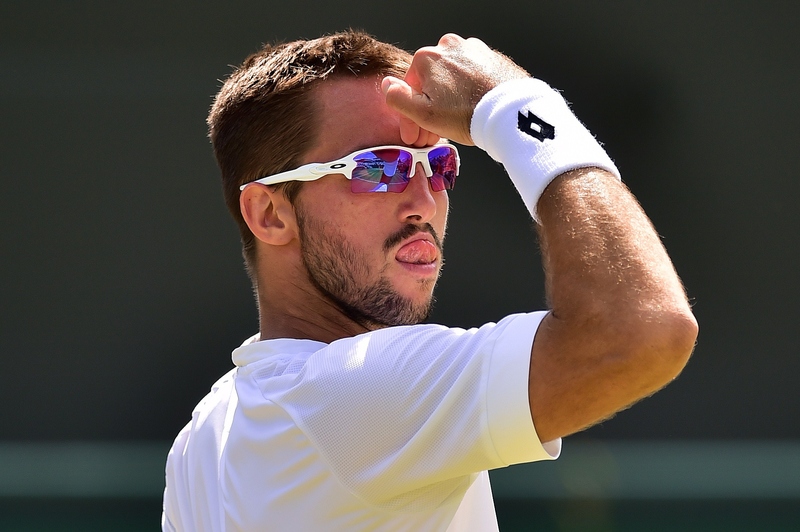 John Isner plays just two games, loses to No. 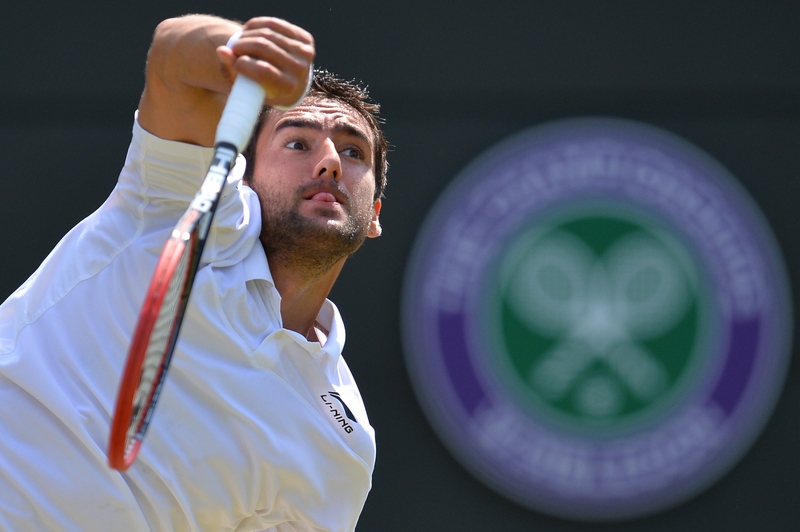 9 Marin Cilic: Their five-setter was suspended for light on Friday and resumed at 10-10 in the fifth set on Saturday, and Cilic made quick work of it. 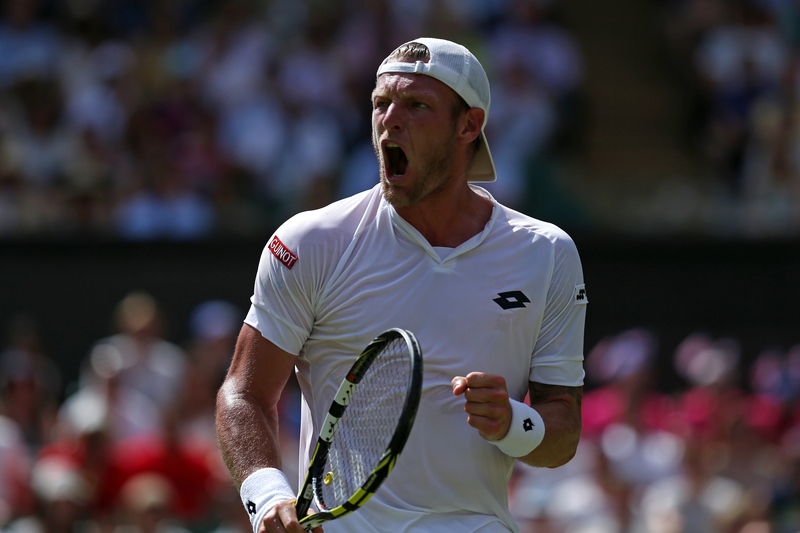 He served first and held and then broke Isner when he double-faulted on match point to win. 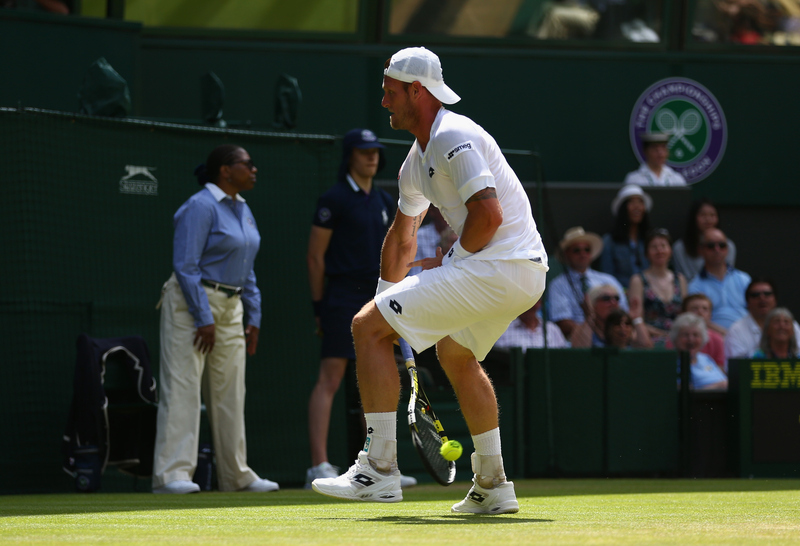 That's a heart-breaking way to end for Isner, who still hasn't progressed past the third round at Wimbledon. Madison Keys takes care of business: The 20-year-old has show good composure through the first week. She's had a fairly easy draw and aside from a slight wobble in the first round, she's made it look as easy as it should be. 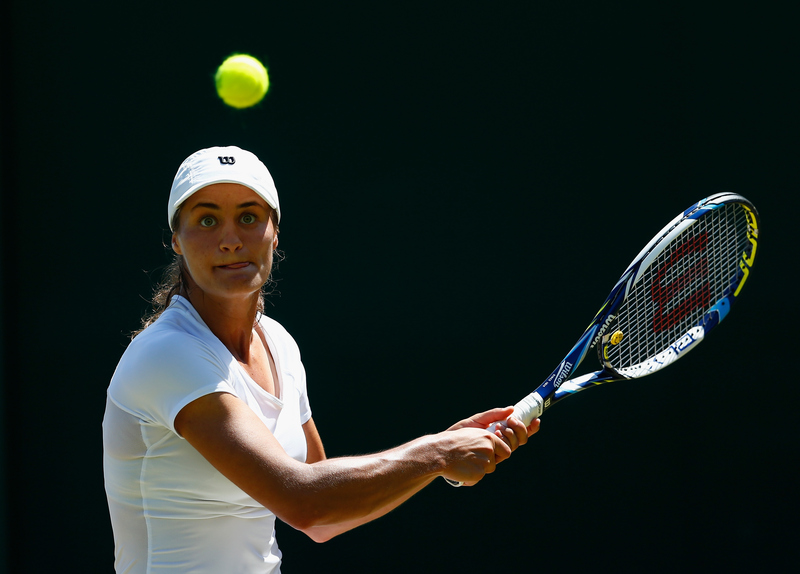 Keys beat Tatjana Maria 6–4, 6–4 to advance to the second week at Wimbledon for the first time in her career. In all, there are four American women into the second week, with Serena Williams, Venus Williams, and CoCo Vandeweghe joining Keys on Monday. 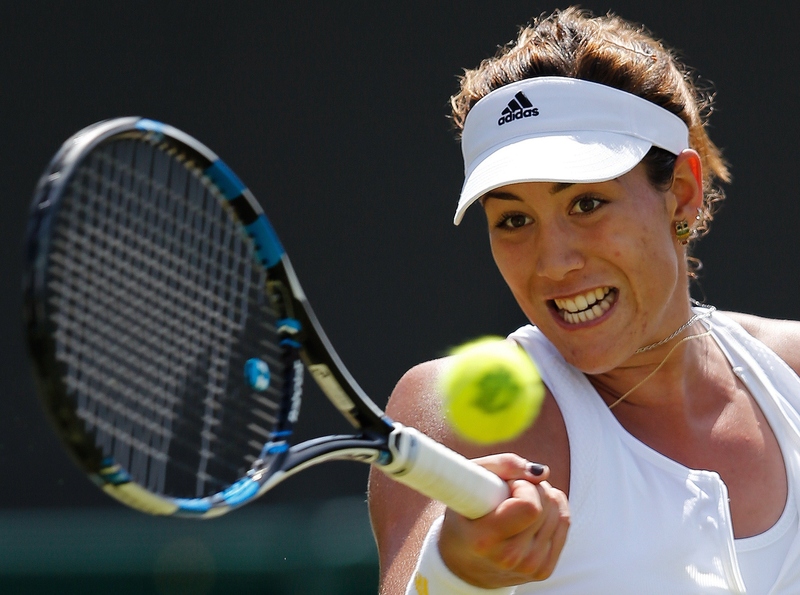 Garbine Muguruza wins an epic to knock out No. 10 Angelique Kerber: Muguruza and Kerber played the best single set of tennis the tournament has seen so far. In the first set the two matched each other shot for shot and it looked as though the counter-punching Kerber was just a hair better. 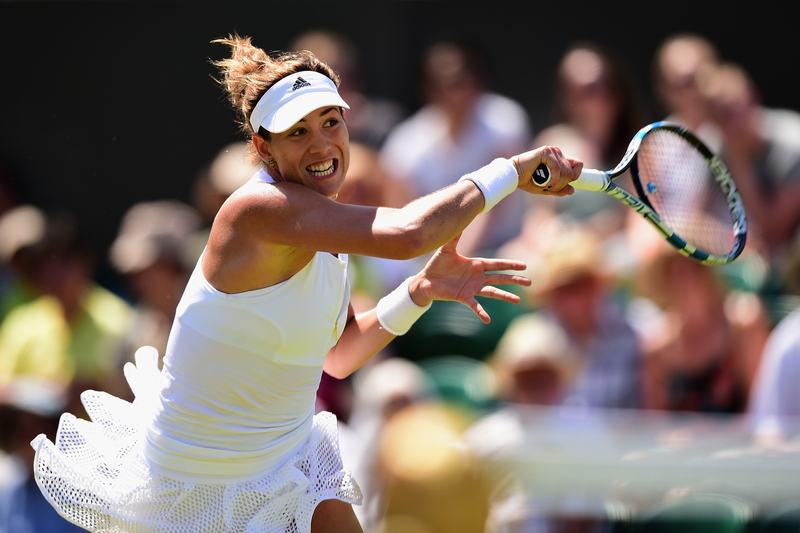 But Muguruza, who confessed the grass continues to perplex her, fought off nine set points in an 83 minute first set—with clutch hitting and serving—to beat Kerber 7–6 (12), 1–6, 6–2. She'll play No. 5 Caroline Wozniacki, who dismissed Camila Giorgi 6–2, 6–2. Hopp Suisse! 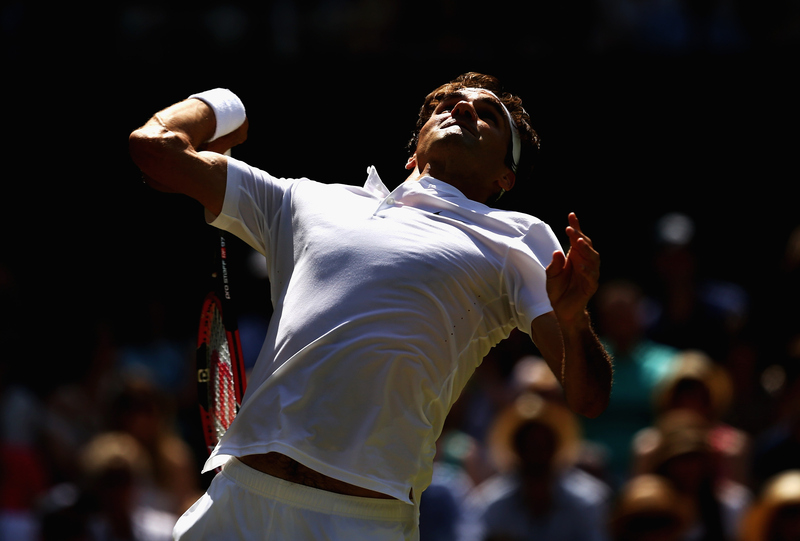 : His serve and forehand left him in the third set tiebreaker, but Roger Federer closed out what was an otherwise routine win over Sam Groth, winning 6–4, 6–4, 6–7, 6–2. He's joined in the Round of 16 by No. 15 Timea Bacsinszky, who beat Sabine Lisicki 6–3, 6–2. Along with Stan Wawrinka and Belinda Bencic, this marks the first time four Swiss players have progressed to the Round of 16 at any Slam. 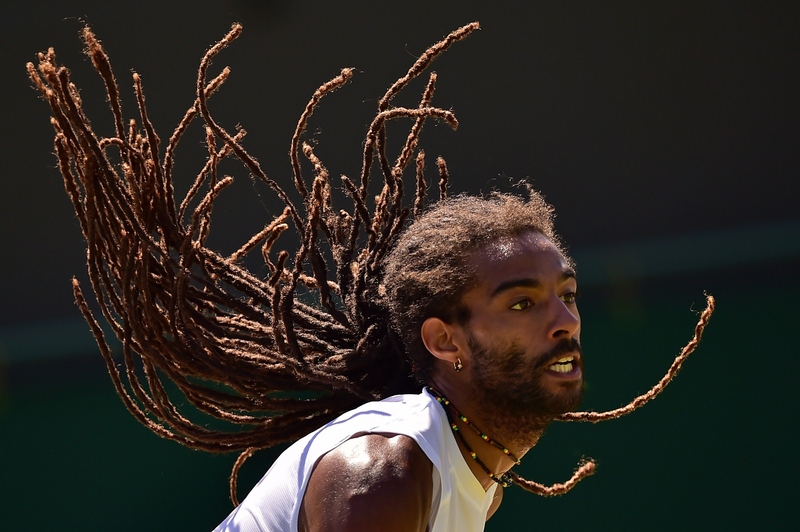 Dustin Brown reaches the end of the road: No. 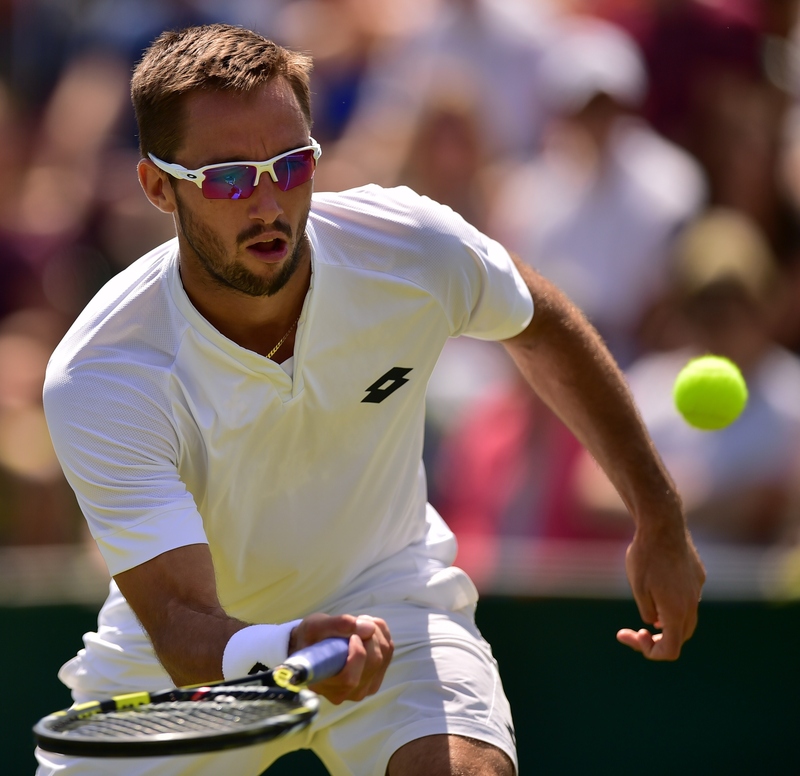 22 Viktor Troicki played some sharp tennis to beat Brown 6–4, 7–6, 4–6, 6–3.